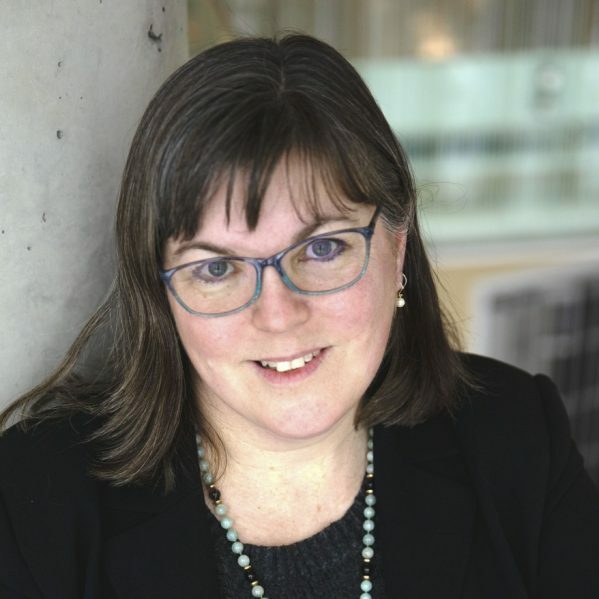 TRU promoted Kathy Gaynor to the top spot as university librarian. She has big plans for improvements. The space is small, but what it contains is vast. And Kathy Gaynor wants to expand it even more. Spread between two buildings, the TRU library houses more than 400,000 books and ebooks, nearly 60,000 journals and thousands of digital resources. Gaynor, promoted in December to university librarian, has a vision to unite the library under one roof and make it the knowledge centre it should be. “It is not a university-level library. It is still in transition,” she said. Gaynor knows her way around the TRU bookshelves. She began at the library in 1999 as an access services librarian and has worked her way through several positions, including building and managing the library’s first website. For the past six months, she was acting university librarian and in December, the title became permanent. The university has a five-year plan to unite its two spaces under the roof of the Brown Family House of Learning. She’d like to see the Centre for Excellence in Learning and Teaching and the graduate student lounge there as well to create a full spectrum of research and learning. Gaynor said a library is built on three pillars: space, resources and services. Her vision includes extended hours of service, more resources and spaces that have specific purposes. Students, faculty and even citizens can access the library in person or online. Gaynor was intrigued to see in-person visits jump by 83 per cent in 2018. She attributed that to a few things, including students using the library computers and the fact that staff are readily available to help with any problems or questions. That’s why nearly 10 years ago, the library allowed food and drinks inside. Two years ago, overdue fines were abolished. Soon, there will be some new furniture to make users feel more at home. There is also a concerted effort to making sure Indigenous students are comfortable there. Gaynor said the Truth and Reconciliation Commissions’ recommendations are guiding changes at the library. Staff visited the Tk’emlups te Secwepemc former residential school and have heard Indigenous speakers talk about the impact of past wrongs. While the library has a strong Indigenous collection already, she will be adding more materials. She wants to create a space where anyone viewing the collection can have privacy in case they experience strong emotions. Gaynor also faces the sensitive issue of dealing with old books that voice opinions deemed racist today. While the views are an affront to the TRC and current thinking, they are also a reflection of the time. Technology is another factor shaping the library’s future as Gaynor’s plans take shape. Students and faculty can get millions of options in a single Google-like search on the library’s home page, which leaves them overwhelmed instead of informed. “Searching has gotten easier. Researching has actually gotten harder,” she said. Library staff are experts in navigating the vast amounts of information now available via the Internet. That’s in addition to the library’s collection, which is about half printed and half digital. And if none of that turns up what’s needed, there’s also the world. Gaynor noted that TRU belongs to an extensive network of libraries throughout North America and some in Europe that will ship books to Kamloops for students and faculty to borrow. And if the publication is something that would likely get a lot of use, the university library can always try to buy it. “We really have the world here,” she said. Even with such a small space, the TRU library is vast. And it is growing.